By choosing texts to be translated: In principle, you may suggest texts to be translated from any source language into any target language. In order to start a new language category we need a team of at least three translators with the same language combination and some experience in translating and/or proofreading. For texts in languages other than English, German, French and Turkish we ask our team members to give us a brief summary of the content and some information about the source where the text was published. We also need support for obtaining permission to translate and publish the text. Most of the authors and media institutions we have contacted for permission so far have been happy to have their texts translated by TfJ. We only translate texts from reliable sources. We do not translate comments circulating on Facebook or published on personal blogs. But we are very interested in getting in touch with alternative media institutions, independent and critical e-journals and magazines, etc. Help us find them and help us get access to the information which is not provided by mainstream media. You are also invited to make suggestions for a folder. You might, for example, want to draw attention to cases of inequality and injustice in regions where one of your working languages is spoken. Contact us to exchange ideas and support us with your knowledge. By translating and proofreading: We started out with many student translators and lay people. By now, a number of experienced colleagues have joined us. Still, we would like to keep the spirit which gave rise to the project and therefore we continue to work with young colleagues and students as well. We want to stick to the idea of a community of people who share the conviction that we, as translators, could and should do something to raise awareness about situations involving injustice. We prefer our texts to be proofread by professional translators or copy-editors native in the translation’s target language. This allows us to improve the quality of our work. We are well aware that proofreading can be more difficult and at times is even more time-consuming than translating. We greatly appreciate the work of our proofreaders. 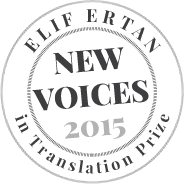 We do not publish the names of translators on the blog. One reason is that we want to protect our translators. Another reason is that we want to have the focus on the project itself and the idea behind it rather than on individual people. Working with TfJ means allowing TfJ to publish your translation on the blog (with the credit line “translated by: translators for justice”). Although we find it important to remain anonymous to a certain extent and to act as a collective translators’ initiative, sometimes it is necessary to show our faces. We do this to add visibility to the project and to encourage colleagues to join us. When you decide to join us, please let us know whether you want to remain completely anonymous or are happy to have your name mentioned as someone supporting and working with TfJ. Source and keywords for tagging: Please make sure that your translation includes the date of publication of the translated text and the source (the html-address for internet sources and full bibliographical information for print media). We also need your help with tags. Please give us keywords (5-7 in average) so that we can tag your translated texts adequately. By inviting others to join us and spreading the news about TfJ: Post TfJ texts on social media, contact associations and NGO’s about the initiative, write an article about the project in your own language etc. And: Please share your ideas on how we can improve TfJ. We look forward to working with you.